Only in Japan will you find a noodle bar that is purposefully tucked away without desperate marketing moves on social media accounts. Located in Fukuoka's cultural hotbed of Yakuin, Tsudoi's noodle offerings are not described as ramen, soba, or udon, but as "this" or "that". Everything about the menu to the decor and attitude is strange (in a good way). Don't bother asking about the ingredients because you'll get the GTFOH face. Tsudoi is a regular for local artists, skaters, designers, weirdos and for those that prefer a little something different. 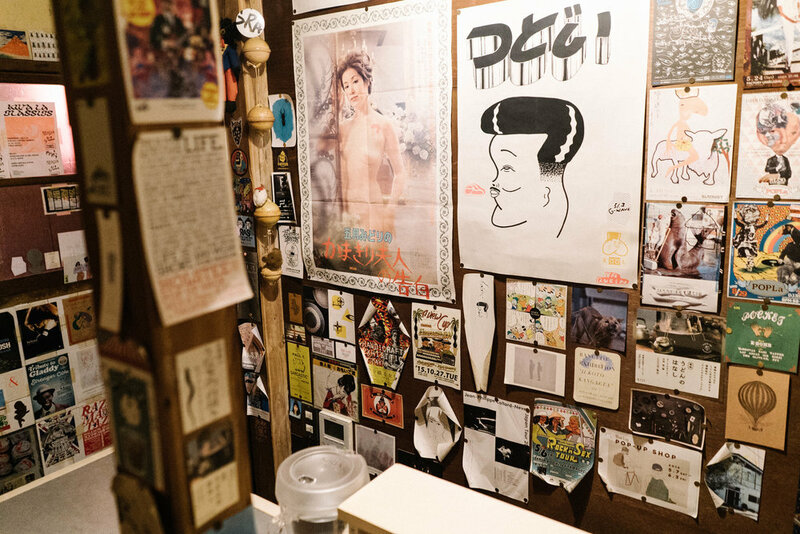 The interior is covered with retro posters/flyers along with works of local artists such as KYNE and NONCHELEE (the duo runs a shop called ON AIR). This obscure noodle shop is where you will be able to connect with individuals who are progressing the creative cultures of the neighborhood. 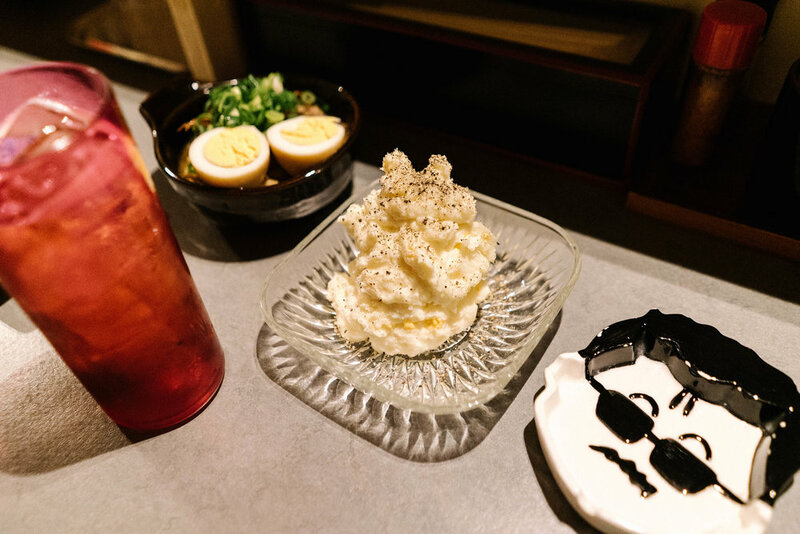 Order a bowl of "areh" noodles along with "scent of the evening" cocktails and take in the exciting time for Yakuin.